Baked currant and fig cake notes are laced with tea leaf, wood smoke and citrus peel accents in this bright, tightly meshed red. Dense tannins provide firm structure. The lasting finish echoes a streak of spicy minerality. Drink now through 2027. 1,085 cases made. An Amarone that shows balance, depth, and beauty. Full bodied, yet refined and ultra-fine texture. Intense finish of light chocolate, nuts and ripe berries. Goes on for minutes on the finish. A triumph. Drink now. Moderately saturated ruby-red; this is darker than Tedeschi's 2013 Amarone. Floral and herbal nuances complement spicy dark plum and blueberry flavors. Offers lovely balance and focus on the long, very lively finish. A blend of Corvina, Corvinone, Rondinella and small amounts of local grapes such as Rossignola, Oseleta and others. Firm tannins are tightly knit to the core of crushed blackberry, wild herb, tarry mineral and abundant spice notes in this sleek, full-bodied red. Fresh and focused, this should open nicely with air or short-term cellaring. Best from 2018 through 2027. 10,000 cases made. Complex aromas of currants, nuts and truffle follow through to a medium body, firm and silky tannins and a flavorful finish. Drink now. Saturated ruby-red. Slightly high-toned aromas of blackberry, mocha, and licorice, lifted by a violet topnote. Then bright and easygoing, offering fresh flavors of dark cherry and mocha. This broad precise Amarone possesses very good energy, freshness and lift which the Molinara, even at only 5% of the total blend, no doubt contributes to. Finishes long, vibrant and ripely tannic, with a note of coffee. Made with a blend of Corvina, Corvinone (70%), Rondinella (20%), Croatina (5%) and Molinara (5%) from vineyards in Negrar, Sant'Ambrogio and San Pietro in Cariano, though the technical sheets say there's 10% Croatina in this blend, I was told that there is in fact a lot less. The wine is aged for thirty months in large oak barrels. A finely balanced red, medium- to full-bodied and fresh, with sculpted tannins structuring the crushed mulberry, wild herb, smoky mineral and spice box flavors. Chewy finish. Drink now through 2027. A graceful red that carries its medium to full body well, offering fine-grained tannins layered with a subtle streak of smoky mineral and pleasing flavors of ripe black raspberry and sweet brown bread. Hints of dried lavender, orange zest and spice box linger on the chewy finish. Drink now through 2028. A polished, modern style, boasting vanilla and spicy oak notes to match the black cherry and plum flavors. Rich and juicy, this balanced bottling lingers with fruit and spice accents on the aftertaste. Drink now through 2018. This has a laserlike feel on the palate, featuring blackberry and boysenberry fruit focused by bracing acidity. Textbook Barbera, with a juicy finish. Drink now through 2019. 400 cases imported. Here is a very popular expression from Cascina Adelaide. The 2013 Barolo 4 Vigne opens to a lean and streamlined appearance with garnet and dark copper highlights. There are sweet fragrances of wild flower, rose hip and dried lavender that emerge first from the bouquet and define the wine's graceful and delicate personality. The mouthfeel is streamlined and fine, and those tannins are tucked in at the back. Although it shows a good amount of natural structure, it leaves a very polished and silky impression nonetheless. If you are looking for an approachable and easy-drinking Barolo, this is a great choice. This Barolo is pretty much ready to drink now. Plenty of sweet berry and cherry flavors mark this supple, juicy Barolo, accented by mineral and tobacco notes. Has grip, persisting on the licorice-, leather- and tobacco-tinged aftertaste. Best from 2022 through 2038. Funkelndes Rubin mit Granatschimmer. Feine und duftige Nase mit Noten nach reifen, dunklen Kirschen und Zwetschken, im Hintergrund nach Gewürznelken und Zimt. Feinmaschiges, geschliffenes Tannin am Gaumen, breitet sich sehr klar und geradlinig aus, saftig, langer Nachhall, nach Preiselbeeren. This is the second year Aleste is produced instead of Cannubi Boschis, however the grapes are exactly the same. The 2014 Barolo Aleste is named after Luciano Sandrone's grandchildren Alessia and Stefano. The 2014 is still wound up and will require extra time to find its footing. The Sandrone family lost 25% of their fruit production in this challenging harvest. The wine offers fragrant notes of wild cherry and cassis with smoke, crushed stone and candied orange peel. The tannins are firm and textured. It is the palate (more than the nose) that requires more time to soften. The cherry and strawberry aromas are tinged by hay and tobacco notes. On the palate, the core of fruit is joined by a chorus of herb, tobacco and underbrush flavors. Aggressively tannic now, but well-proportioned and long. Best from 2024 through 2043. Menthol and eucalyptus aromas lead off, followed by sweet cherry flavors midpalate. Leather and tar notes line the finish. Firm and sinewy, with dusty, chalky tannins. Best from 2019 through 2033. 400 cases made. Funkelndes, intensives Rubin mit Granatrand. Klare und intensive Nase, nach reifen Kirschen, feine Brombeere, etwas Orangenkompott. Samtig und rund in Ansatz und Verlauf, baut sich in vielen Schichten auf, viel feinmaschiges Tannin, sehr geschliffen, langer Nachhall, ein Hochgenuss! The Luciano Sandrone 2012 Barolo le Vigne shows the trademark ripeness that I so often identify in this historic product. The bouquet is round and plush with thick layers of dark cherry marmalade, blackberry preserves and dark currant. Beyond those apparent fruit aromas, Le Vigne offers dark spice and licorice with a beautiful menthol signature on the finish. The wine's natural structure is padded by soft tannins and lush fruit consistency. In all, this important wine is less vibrant and distinctive compared to other excellent vintages such as 2008 and 2010. The 2012 Luciano Sandrone wines are very good, but remain far from the amazing heights achieved by this historic winery in the best years. Like many of the wines from this vintage (across the various townships that make up the appellation), they are slightly less expressive and they speak at a lower volume. Sandrone's 2012 Barolo Le Vigne is fresh, delineated and totally inviting. Freshly cut flowers, sweet red berries, mint, orange peel, chalk and white pepper make a strong first impression. Precise and finely sculpted throughout, Le Vigne has a bit more energy and aromatic presence than the Cannubi Boschis, and a touch better balance. A hint of oak lends this a spicy component, along with cherry, licorice and tar flavors. Racy and bright, with fine intensity and a long, tightly wound finish that seems to go on forever. This shows beautiful purity and class. Best from 2020 through 2036. 380 cases imported. (95% Chardonnay and 5% Pinot Blanc: Pale gold. Candied lemon, lime pith and white flowers on the fragrant nose, with deeper orange and buttered toast qualities emerging with air. Juicy flavors of pear and Meyer lemon show impressive depth and cut, with a gingery nuance adding energy. Bright, focused and mineral-driven on the clinging finish, which leaves behind notes of honeysuckle and brioche. A lithe Champagne, powered by racy acidity. Offers fine texture and flavors of white peach, candied lemon zest, pastry dough and crystallized honey, with a firm, minerally finish. Drink now through 2020. 3,000 cases made. Dried white flowers and white peach fruits with hints of lemon. Smells extremely fresh and lively. The palate has an attractive, fleshy and tangy texture. Flavors follow aromas in the stone fruit zone. Grilled nuts to close. Drink now.  This is the wine that put Brancaia on the map of Tuscany's most celebrated estates. A blend of 70% Merlot, 25% Sangiovese and a smaller percentage of Cabernet Sauvignon (fermented with indigenous yeasts in conical steel vats and aged in new and neutral barrique for 20 months), the 2015 Il Blu is a wine that enthusiastically embraces the energy, heat and sunshine of the vintage. The fruit is dark and slightly sweet with aromas of black cherries and dried blackberries. Those flavors deliver rich, soft intensity. The wine is not quite full-bodied, because the mouthfeel is elegant and finessed, but it does deliver lasting power, freshness and polished tannins. This red is sleek and focused, with blackberry, black currant and tobacco aromas and flavors that cut like a laser through the linear frame. Delivers fine harmony and a long finish. Best from 2020 through 2033. The balance and beauty to this wine shows real Super Tuscan character. Aromas of flower, dark berry and licorice follow through to a full body, ultra-fine tannins and a flavorful and focused finish. A blend of cabernet sauvignon, merlot and sangiovese. Drink now or hold. An opulent, well-structured style, providing an ideal foil for the concentrated black cherry, blackberry, plum, herb and earth flavors. Packed with sweet, ripe fruit, this is dense and muscular, showing all the right components. Fine length. Cabernet Sauvignon. Best from 2019 through 2029. A juicy and flavorful red with blackberry, blueberry and orange peel. Medium to full body, firm and silky tannins and a fresh finish. Drink now or hold. Round, evoking plum, black cherry, leather, earth and sanguine flavors. The structure is well-integrated and the finish reveals earth, iron and sanguine notes. Best from 2020 through 2033. This offers up a decadent nose of blackberry pie, vanilla, resin, elderberry reduction, five spices, dried herbs and a touch of plum liqueur. Full body, ripe yet structured tannins and a long, chewy finish. The fine line of acidity keeps this in check. Drink in 2022. This bright and zesty Champagne is lightly juicy and appealing, offering flavors of Honeycrisp apple, ripe white cherry, biscuit and pickled ginger. Balanced and lacy in texture, with a lingering, spiced finish. Drink now through 2022. Firm and balanced, this red has a sleek texture, with restrained but harmonious flavors of black cherry, licorice, mineral and smoke. Well-integrated tannins impart backbone, while balsamic acidity keeps this fresh. Drink now through 2025. Lots of blackberries and blueberries and mineral undertones. Some touches of grape skin. Medium to full body, chewy tannins and flavorful finish. Needs a year or two to soften. Drink in 2019.